As if it wasn’t awesome enough for Telltale Games to start releasing its great The Walking Dead games on Android, we have now been blessed with the launch of The Wolf Among Us, as well. The game, based on the comic series Fables, only launched on PC eight months ago, but we are getting to play it on our Android devices today. As long as you have the Amazon Appstore installed, of course. If you aren’t familiar with the series, it plays in very much the same way that The Walking Dead games do. Point and click, maneuvering through a story that changes with every moral choice that you make. You play as Bigsby Wolf, the human representation of the Big Bad Wolf in Fabletown, a place where the fables and stories that you heard as a kid have grown up; lying, stealing and killing. It looks as if Telltale is sticking to the same plan that it had for The Walking Dead. 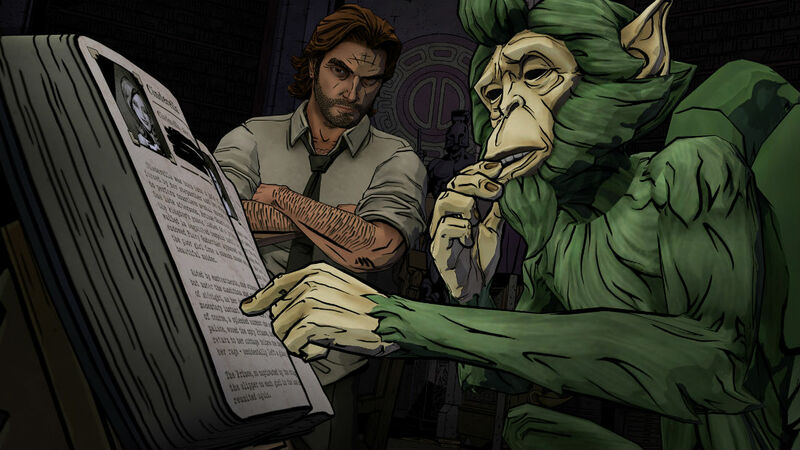 The first episode of The Wolf Among Us is free, then once you are nice and hooked, the other episodes will cost you money through in-app purchases. If you haven’t played the series yet, plus have the Amazon Appstore installed, this is a game that you have to try.